Çelebi Ground Handling Bodrum (BJV) station, has been audited within the frame of “Unimpaired Airports” project initiated by Civil Aviation General Management on October 8-9 2015. Following to the successful audit performed; Çelebi Ground Handling; has been nominated and certified as “Unimpaired Airport Company” at Bodrum Airport. 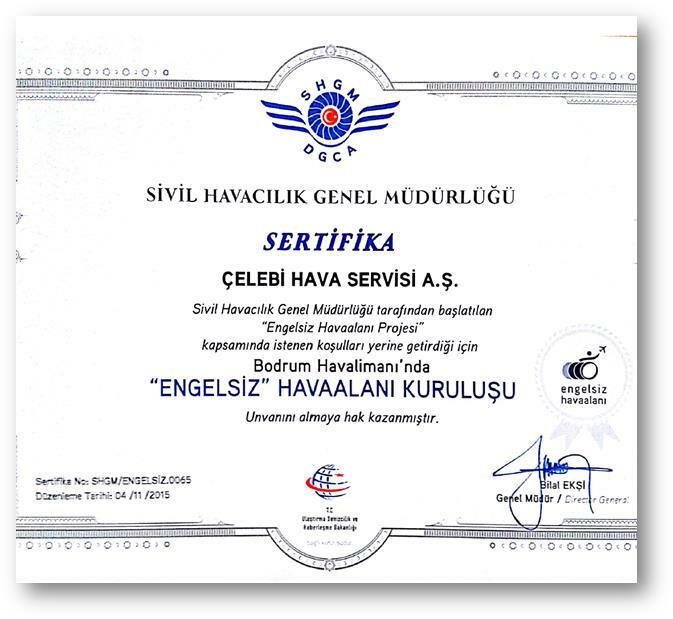 Within the frame of this certificate, Çelebi gained 15% of discount at any registration or certification extension costs charged by Civil Aviation General Management. Congratulating Station’s Employees; we wish the best for their continuous success.